Dear Santa. I know it’s only September and that you are probably still enjoying your downtime in Florida before the Holiday craze picks back up again right after Halloween, but I was hoping for an early Christmas gift. 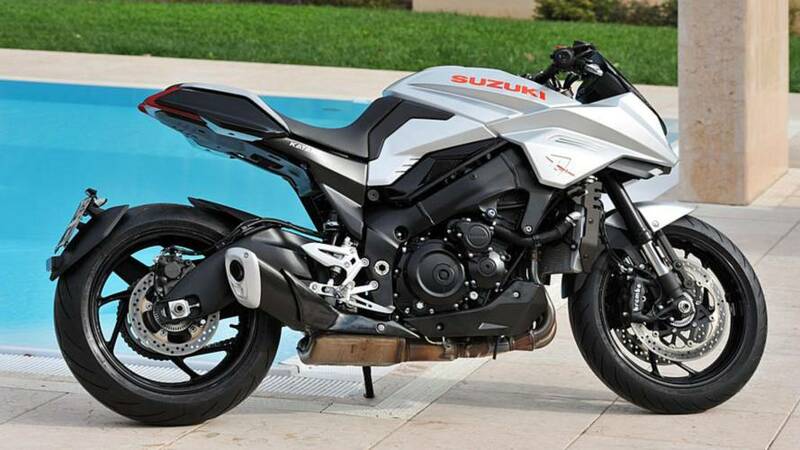 See, rumor has it that Suzuki is bringing back the Katana. I’ve been a really, super good girl and I would really like it to be true. Can you help a sister out? We’ve been keeping an eye out for any Suzuki news for the past six months or so. Back in March, we found out that Suzuki had patented the “Katana” name as well as its sweet logo. That's all we had to go on until now. Guys! There’s a teaser now. To the dramatic sound of taiko drums, we are treated to a few seconds of blacksmithing, before Japanese symbols get slashed and the words “Feel the Edge” appear. The metal-working bit shows, guess what? A sword being made. Sword, katana… get it? Still according to the teaser, the not-so-mysterious veil of mystery will be lifted at the 2018 International Motorcycle Fair in Cologne (Intermot) coming in early October. The Suzuki Katana disappeared from the market about a decade ago. The name first appeared in the late 70s, attached to a German design, before becoming the brand’s GSX-R600 and 1000 monicker. In its later years, the model had become a synonym of sportsbike and its low stature made it easily accessible. Like its previous generation, the resurrected Katana would be based off the GSX-R1000. Now, the waiting game: Intermot kickstarts on October 3, 2018 so mark your calendars! Santa, if you grant me that wish, I’ll upgrade your milk and cookies to whiskey and cigars. Truly yours, your biggest fan.